This 2 tracks single is a teaser for the forthcoming new album by Europe's no 1 rootsrock band. Featuring a heart-wrenching Country-flavoured duet with Nathalie Delcroix, with Rene van Barneveld's plaintive pedal-steel guitar sprinkled on top.The second track is a spooky, eerie Rockabilly reworking of Randy Newman's "Let's Burn Down The Cornfield" that'll leave you with a taste of sweat, gasoline and sulpher. Europe's no 1 Rootsrock combo is back with their first full-length studio-album for Sonic Rendezvous, (their 6th in total) and it's a scorcher. 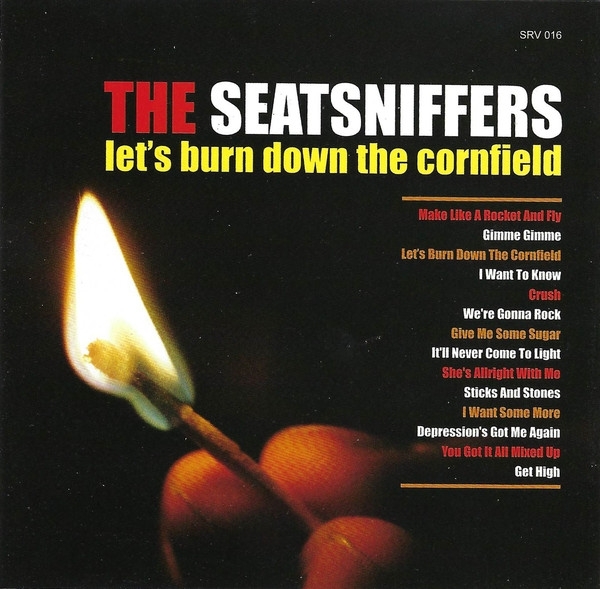 Among the 14 brand new tracks, Seatsniffers fans will get a generous helping of the wild Greaser R & B they've come to expect, but there's plenty more; bluegrass, C & W, Soul, Ska, Rockabilly, all blended into the simmering stew that is "Let's Burn The Cornfield". Featuring a guest appearance by the bluegrass boogieman, Rene van Barneveld's plaintive pedal steel, Mischa den Haring's (T-99) hip blues guitar, and a heart-wrenching duet with Nathalie Delcroix. 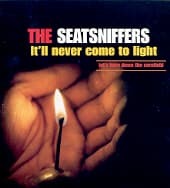 2005 marks the 10th year of Belgiums nr.1 Rootsrock band, The Seatsniffers. 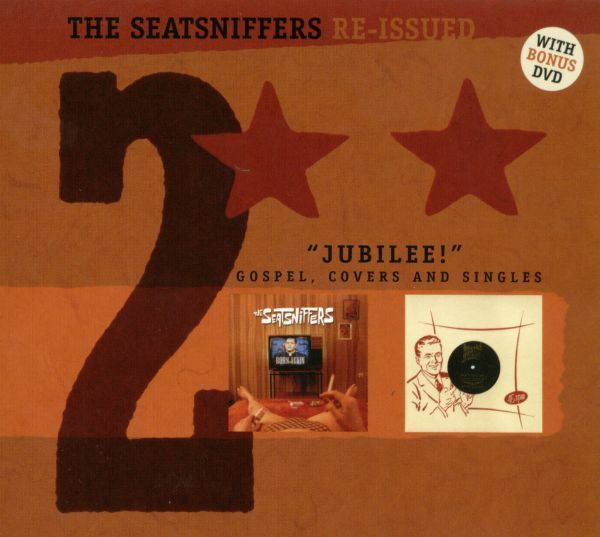 This is already the second part in the Reissue series and it offers classic, rare and new Seatsniffers material; the band's 5 song "Arabian Love Call" previously vinyl only 10" collection of covers, the critically acclaimed Gospel cover project "Born Again" , some single- only tracks and a brand new, newly recorded 2005 Seatsniffers song. As a free extra there's a 15 minute bonus DVD with 3 live tracks, interviews and a brief band history. !!! 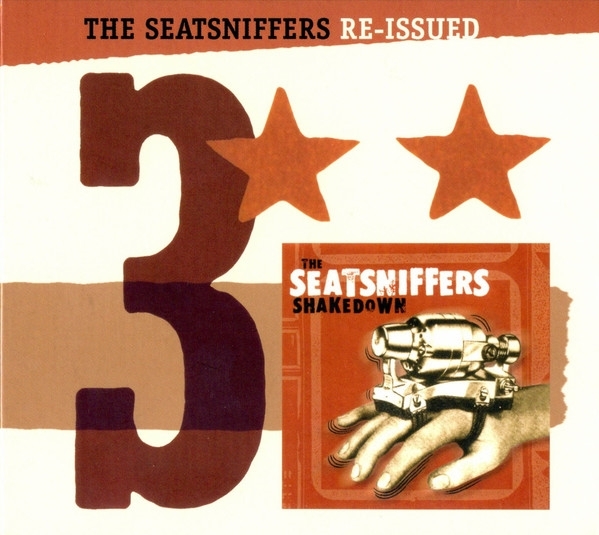 Part 3 in the Re-issue series brings us the newly remastered "Shakedown" album. 14 tracks with beautiful artwork. Special guests on this album; Ruben Block, Rene Van Barveveld and Bjorn Eriksson. 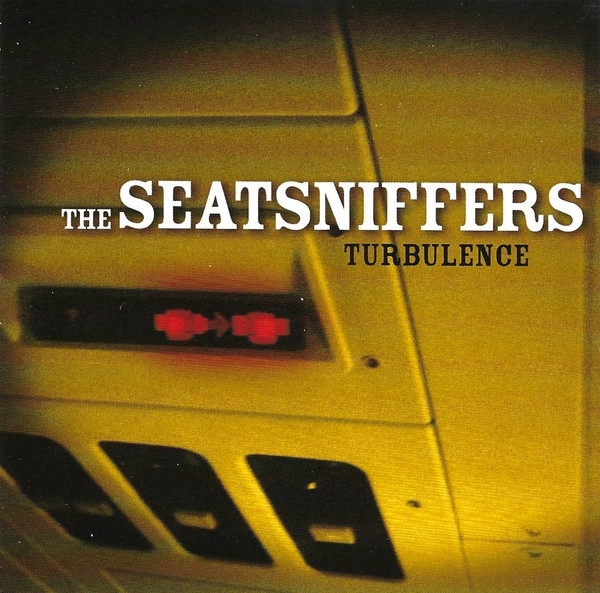 A wide and delicious spread of Roots Rock with fragments of Blues, Country, Rock & Roll, R&B and even a touch of ska.Different moods, different tracks but once again a true beauty in the Seatsniffers tradition. First album with all new tracks in 4 years!